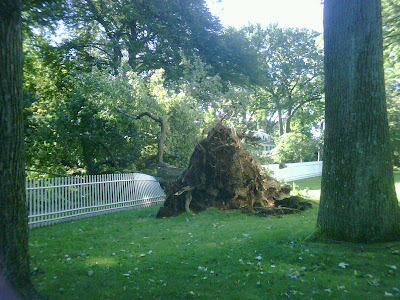 Hurricane Irene brought a lot of flooding our way, and for trees that posed the danger of saturated soil. When there is so much water that it isn't able to drain into the water table, the soil fills with more water than it would naturally retain. This loosens soil particles and makes the ground more malleable. 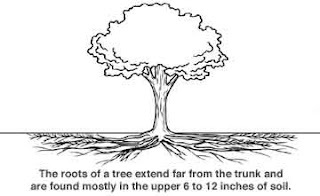 The majority of a tree's root system is typically anchored to the first 6-12 inches of the soil. It's also the part of the ground that bears the brunt of over-saturation in flood situations. 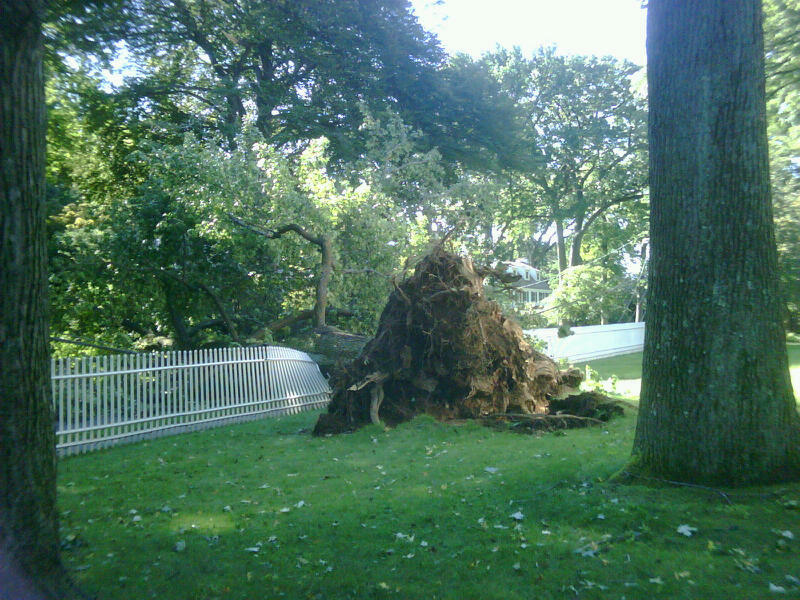 When the soil loosens around the roots, it can lead to the uprooting of a tree. 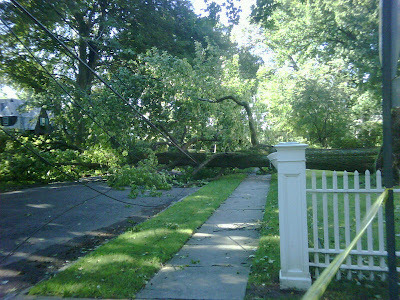 This is a problem we saw a lot of in the aftermath of Irene. Photo from the International Society of Arboriculture. example of the type of damage we saw from Hurricane Irene.